Paris and Berlin-based design studio BLESS took over the Neutra VDL House for the summer with an inspiring site-specific installation, BLESS No. 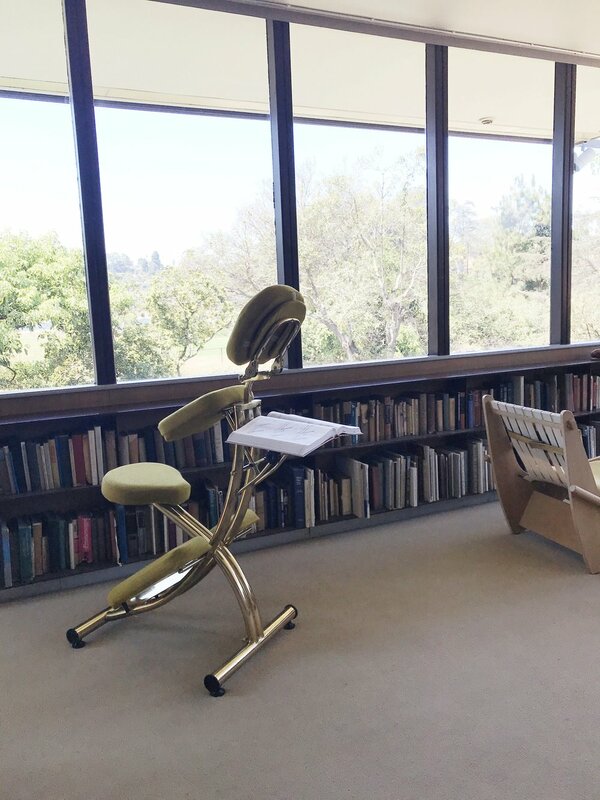 63 Neutra Dasein. Designers Desiree Heiss and Ines Kaag founded the studio with the intention of exploring unusual design solutions for everyday life. Through their intervention, a simple plastic outdoor chair was elevated with a draped cover constructed from Kvadrat fabric, and a pair of hammocks went from casual to luxe, adorned with custom fur covers. I was so happy to catch the last day of the installation–by accident, during a morning walk around my neighborhood. 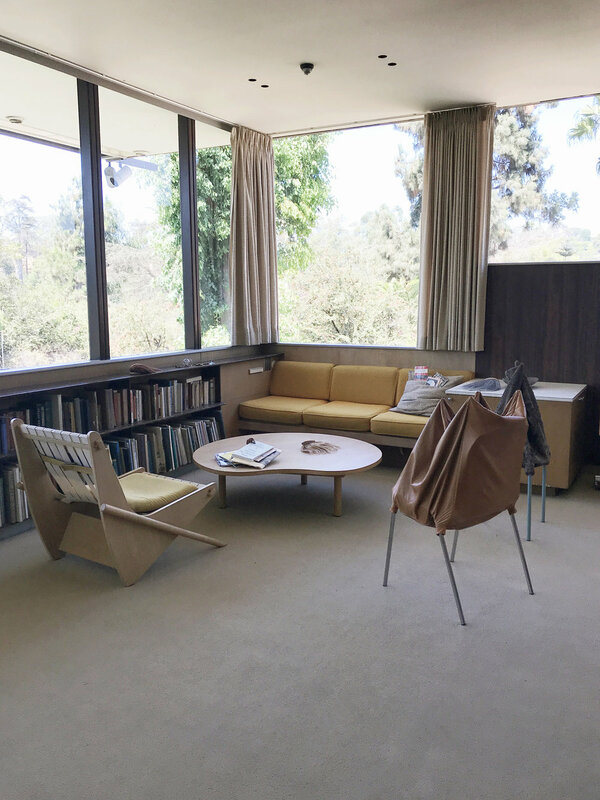 While the BLESS residency has ended, the Neutra VDL House is open to the public Saturdays from 11am to 3pm. More information can be found here.